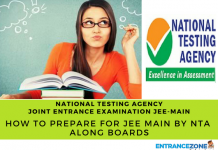 National Testing Agency will conduct JEE Mains 2019 in the online mode only in the month of January & April 2019. It will take place in various cities in India. Candidates applying for JEE Main 2019 will have to fill the online application form before the last date of two examination dates. They will have to fill an option called State Code of Eligibility in the Online Application form for JEE Main. To know more about JEE Main State Code of Eligibility, Candidates can see the article below. The examination will be held at the particular cities which are mentioned in the information bulletin. Latest Update: JEE(II) 2019 April Application Form has been released. JEE Main January 2019 result declared. Click here to check JEE Main Result 2019 Here. JEE Main 2019 January Exam Application is closed now. To appear in JEE Main 2019 April Examination Apply Here. 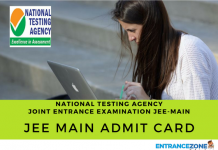 How to find the JEE Main State Code of Eligibility? Firstly, candidates will have to mention their state code of eligibility. Also, this means that they will have to enter the name of the state from which they passed Class 12th or equivalent. Then, they will have to enter the specific code, which is assigned to every state. So, details regarding this are below. But, in case, the candidate has applied for improvement or is appearing for class 12th examination again and from a different state. Then, he will have to enter the new state’s code. Also, candidates who have qualified Class 12th from a foreign university will have to mention the state which is their native state as in their Indian Passport. Moreover, aspirants qualifying class 12th from NIOS Board will have to enter the state from which they qualified the examination. Further, candidates from Nepal/Bhutan/ another foreign country will not have to fill the State Code of Eligibility. Candidates can see the codes for different cities in the table given below. Download JEE (Main) State Code of Eligibility PDF. 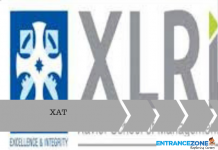 Candidates are advised to check all the details regarding how to fill the Joint Entrance Exam (Main) 2019 Application Form before applying for the same. According to CBSE, If less than 50 candidates apply for a centre in a city for Computer Based Examination on a particular date, they will have to appear for the exam on the last day in the same city according to slot allotted by CBSE. 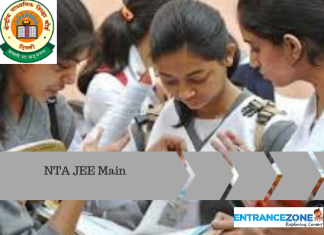 For more details regarding JEE Main State Code of Eligibility read the information brochure carefully. When to choose center for the examination? How to apply for the online mode? How does the online exam takes place?